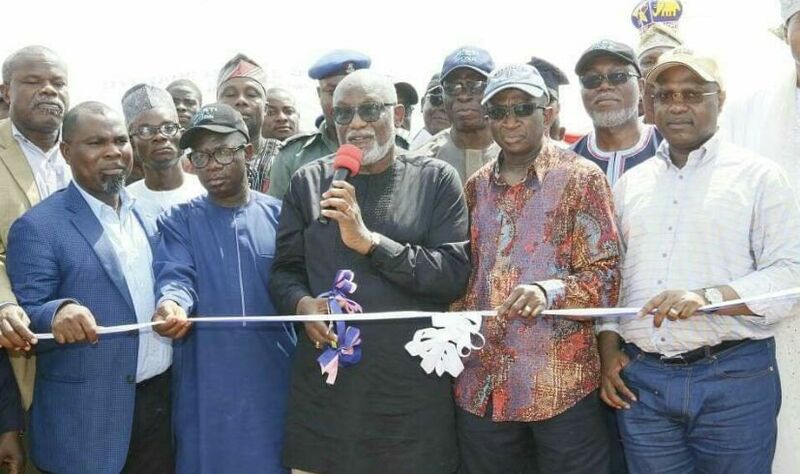 FLAG OFF: Construction phase of the Araromi-Akodo/Ibeju-Lekki Road, connecting Ondo and Lagos States. The project which is a joint effort of NDDC and the Government of Ondo state is part of the very important coastal road projects which the Federal Government has conceived to link our coastal towns with a strategic road network. About a year ago, on Tuesday, April 4, 2017, a team of NDDC, led by the Chairman, distinguished Senator Victor Ndoma-Egba, SAN, was in Akure to sign a Memorandum of Understanding with the Ondo State Government to build this 50.918km road. On completion, it will cut travel time between Ondo State and Lagos to under one hour, and facilitate easy evacuation of agricultural produce from these communities. The road will connect the agricultural-rich communities of Araromi seaside - Igbo Erelu, Eba, Awodikora, Elefon, Ode-Omi, Imedu, Igboguna, Akodo in Ondo State with Ise in Ibeju – Lekki area of Lagos States.